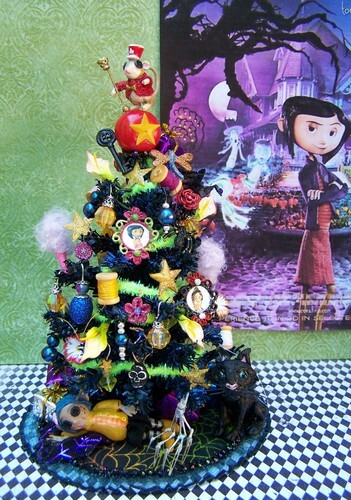 dollhouse miniature Coraline-themed पेड़. dollhouse miniature Coraline-Themed पेड़ द्वारा 19th दिन Miniatures. HD Wallpaper and background images in the Coraline club tagged: 19th day miniatures coraline neil gaiman. This Coraline fan art contains गुलदस्ता, कंचुकी, कहावत, फूलों का गुच्छ, चोली, पॉसी, नाकगेय, ब्रोच, and nosegay. There might also be बेगोनिआ, बेगुोनिया, begonia, गुलाब, rosebush, गुलाब, and rosiness.